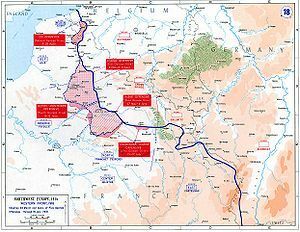 The Second Battle of the Marne (French: 2e Bataille de la Marne), or Battle of Reims (15 July to 6 August 1918) was the last major German Spring Offensive on the Western Front during World War I. 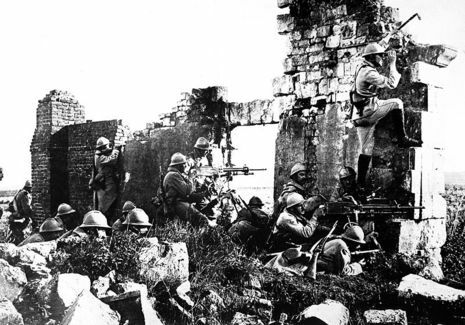 It failed when an Allied counterattack led by French forces overwhelmed the Germans, inflicting severe casualties. On 26 March 1918, at the Doullens Conference, Foch was appointed Supreme Commander of the Allied Armies with the title of Généralissime ("supreme General") with the job of co-ordinating the activities of the Allied armies, forming a common reserve and using these divisions to guard the junction of the French and British armies and to plug the potentially fatal gap that would have followed a German breakthrough in the British Fifth Army sector. 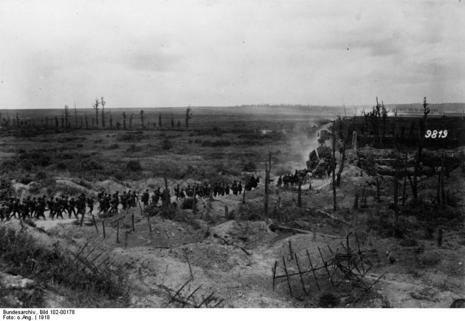 Despite being surprised by the German offensive on the Chemin des Dames, the Allied armies under Foch's command ultimately held the advance of the German forces during the great Spring Offensive of 1918 and at the Second Battle of Marne in July 1918. The celebrated phrase, "I will fight in front of Paris, I will fight in Paris, I will fight behind Paris," attributed both to Foch and Clemenceau, illustrated the Generalissimo's resolve to keep the Allied armies intact, even at the risk of losing the capital. On 6 August 1918, Foch was made Marshal of France.